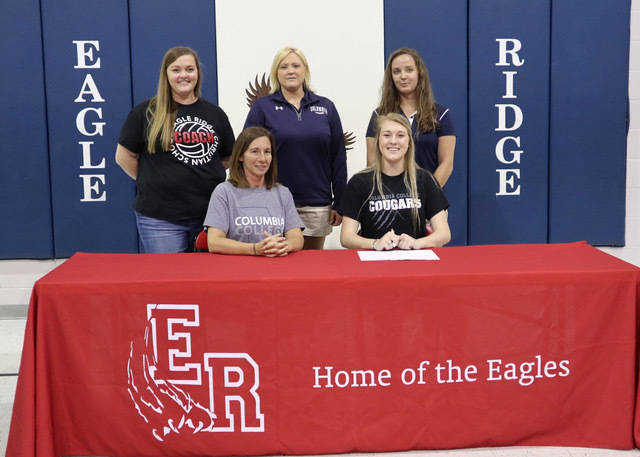 Eagle Ridge's Jessie Gartman, sitting right, signs to play volleyball at Columbia College (submitted). Eagle Ridge Christian School's Jessie Gartman signed to play volleyball at Columbia college last week. 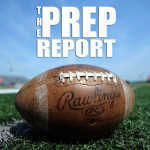 Gartman was a key part of back-to-back Missouri Christian School Athletic Association state champion teams her junior and senior year. She also played basketball for Eagle Ridge. Columbia College is located in Columbia, Missouri, and has an NAIA athletics program. The Cougars volleyball team went 34-8 last year and advanced to the NAIA Women's Volleyball National Championships.